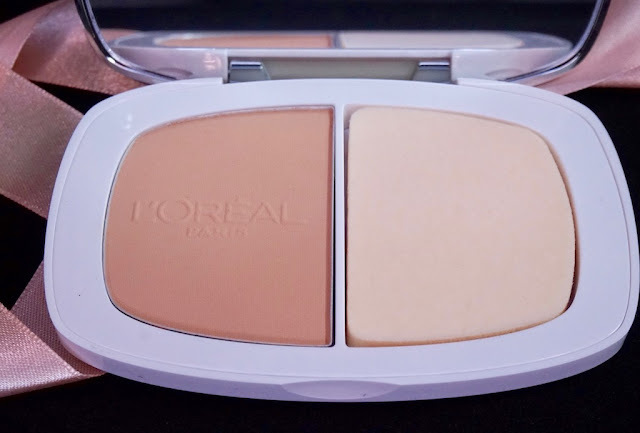 L'Oreal True Match Even Perfecting Powder Foundation for perfectly- covered skin! 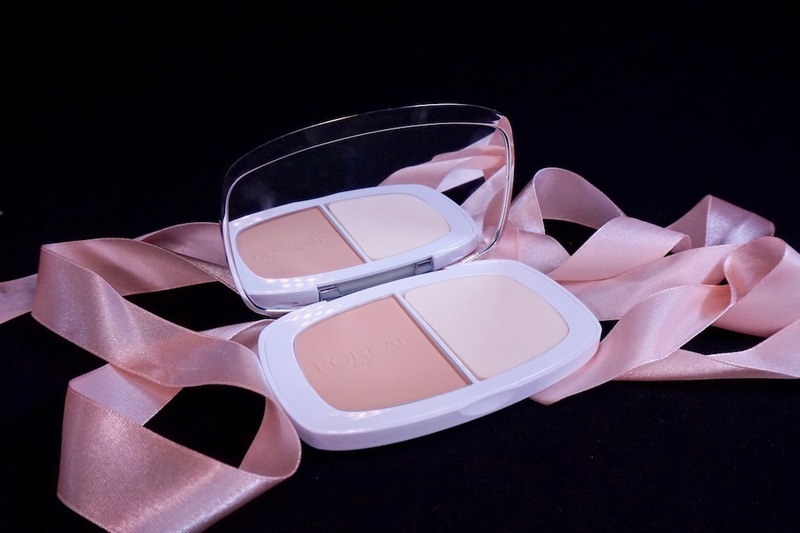 This powder foundation claims to provide complete coverage, 6 ways. 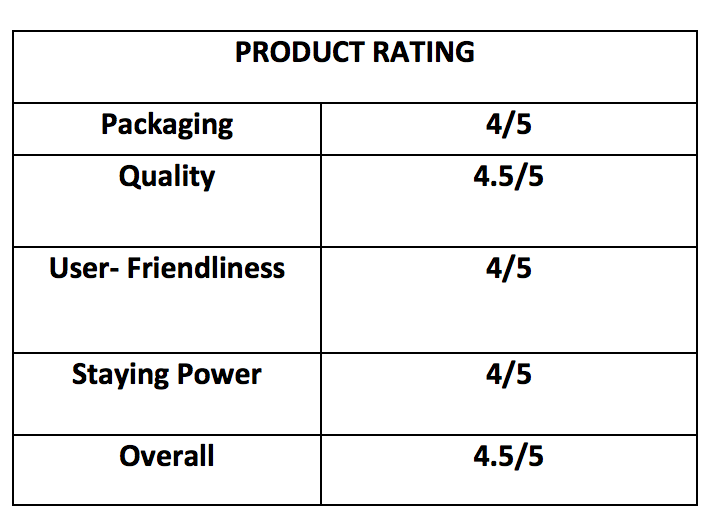 Here's a review on L'Oreal True Match Even Perfecting Power Foundation in Gold Vanilla. 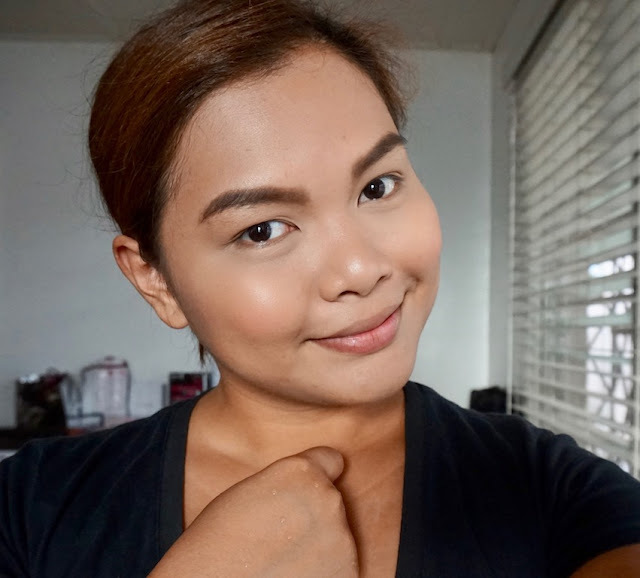 I love me a dependable powder foundation because it is my alternative to the full on, liquid foundation- laden face. 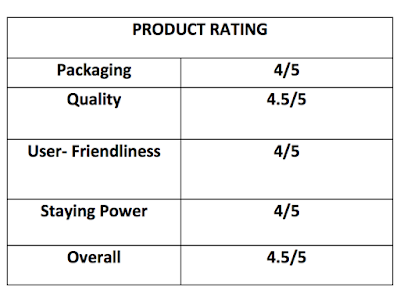 Brands I love are Shiseido for luxury and for drugstore, Pixy, which unfortunately pulled out from the country. 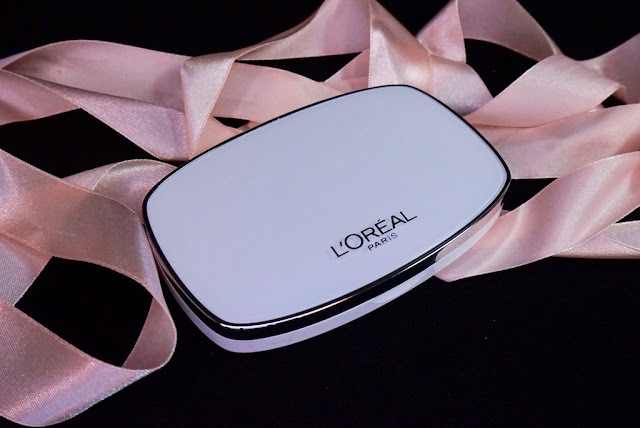 Ever since Pixy went away, I've been on a hunt for an equally good powder foundation in the drugstore and I think I've found one: L'OREAL TRUE MATCH EVEN PERFECTING POWDER FOUNDATION, a powder foundation that promises to do the job of 6 makeup products! It comes in 10 shades and what I got is G6 Gold Vanilla. It's a bit pinkish for my skin tone, but thankfully, the medium dark tone made it look somewhat okay for my skin tone. The sponge that comes with it has two sides: flocked side for light coverage and also for applying powder on delicate parts of the face and the sponge side for heavier coverage. 1. PRIME- I really don't know how this one acts as a primer. Of course, you can use powder as primer (thanks to Wayne Goss), but heavily tinted powders like this one are better off used for its intended purpose, tbh. 2. CONCEAL- It provides medium coverage, which is good enough in minimizing the appearance of spots, redness, and other discolorations you might have. 3. PROTECT- it has SPF. 'Nuff said. 4. MATTIFY- It provides a matte finish; it can look a bit flat matte so lightly mist the skin after application. 5. COVER- It has impressive coverage. The semi- creamy texture provides a smooth, lightweight veil of powder that gives skin a smoother, more even appearance, as if you've worn liquid foundation. 6. CONTROL OIL- Staying power is pretty good; my t-zone oils up after about 3 hours of wear and that's pretty cool for an affordable powder foundation. Pixy may be gone, but at least I have L'Oreal's new True Match powder foundation. This product is perfect for those who are on the go all the time, but need great coverage. One swipe and skin is magically amazing! I wish that there will be more yellow- toned shade options for morenas. Please visit L'OREAL PARIS PHILIPPINES on Facebook for more details about this product. It made a lot of changes! I actually thought you were wearing liquid foundation instead of the powder. I like powders like this! Not only does it provide the coverage we want, it also has SPF. That's a very important factor. I know that wearing sunblock is a must but some days I just can't handle the extra layer of sunscreen. Causes me to breakout. Especially with the Ph weather??? Sigh. Good thing powders like this already has us covered when it comes to protection. Thanks for this, Ms. Martha! New from LOreal, isa yan s mga brand n trusted ko din pgdting s quality and un foundation n gmit nio po Ms. Martha bgay look so natural. Isa din s mga tinitgnan ko s foundation aside s mgndang coverage, un good din b za s oily skin. Gnyn kc un skin type ko at mabilis mg build up ng oil ang skin ko, 3 hrs is not bad at all pra s oily skin. Akala ko puro powder yun laman nun compact, kalahati pala powder, kalahati sponge haha! Pero interesting ha. Affordable yet provides decent coverage. Ay gusto ko ito! Problem is, I'm a morena too. Sana marinig nila yun wish natin for more yellow-toned shades. This would be a perfect option if you want to take a breath on liquid foundations. Oil-control & coverage are what I look for in my powder founda. Good thing, this has both. It's definitely a must-try! You look so fresh in that pic, Ms. Martha! wow! ang ganda at andaming pwedeng lagyan ah..Loreal always brings out the best naman tlaga..great brand!